2018 Lilyfest in Civic League Park. Yantis Green Photo. Children's Events at 2018 Lilyfest. Yantis Green Photo. 2018 Lilyfest. Yantis Green Photo. SAN ANGELO, TX -- People from all around the world flocked to San Angelo for Lily Fest 2018 in Civic League Park downtown next to the Concho River between Pecos St, Beauregard and Park St. Saturday. Lily Fest 2018 celebrates the 30th anniversary of the lily collection curated by Ken Landon. There were guided tours of the lilies by Landon, entertainment, items for sale and events for children. Flags representing various countries topped poles located around the lily displays. 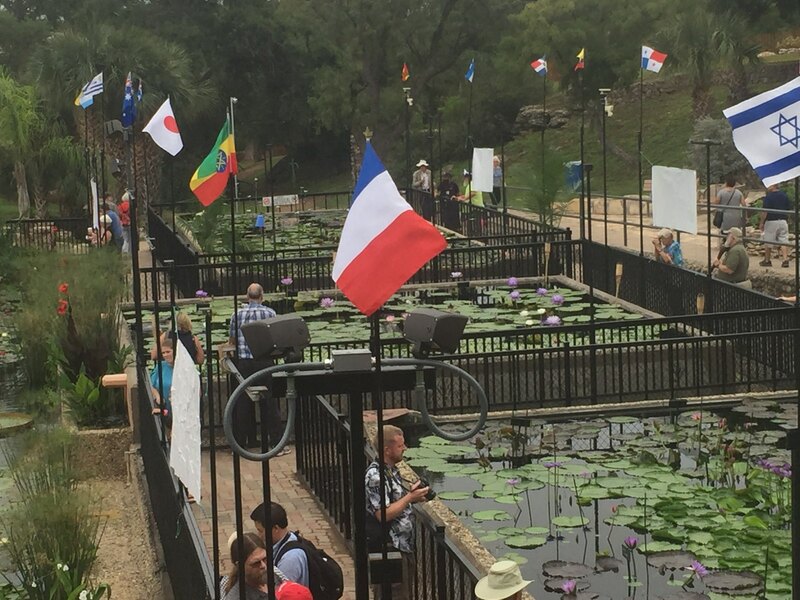 The water lily collection is San Angelo’s most popular international tourist destination. The International Water Lily collection has been designated by the International Waterlily & Water Gardening Society as a premier collection of water lilies in existence. One of the unique lilies on display is the official lily of the state of Texas, Nymphaea Texas Dawn. Landon created the Texas Dawn in 1983. It is easy to see , some people add beauty to the world. That is a great place and amazing. for being out in West Texas, we do have a lot of great artists and talents out here. My friend calls and says, whatcha doin. Oh just hanging out with the lillies. She says, your not. I says, yesh I am, no kiddin.